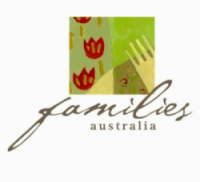 On the eve of National Child Protection Week (1-7 September), Families Australia has called for vastly more effort to make protecting children everyone’s business. Nationally, over the 12 months to June 2012, the number of children who were the subject of abuse or neglect substantiations increased from 31,527 to 37,781. The National Framework for Protecting Australia’s Children is a major advance. Yet, greater effort by all parties—governments, the NGO sector and the community at large—is needed to achieve a substantial reduction in rates of abuse and neglect. More is needed to tackle the underlying causes of child abuse and neglect, particularly in responding early to the needs of families and children who are experiencing vulnerability.